This category is split into 31 pages. This is page 18. 107 Anglo-Saxon Continental Ar Sceat. C, 695-740. Series E. Obv; Degenerated head. Rev; Standard, TOTII design. Spinks 790. Superb detail. EF. 108 Anglo-Saxon Continental Ar Sceat. C, 695-740. Series E. Obv; Degenerated head. Rev; Standard. Spinks 790 var. Dark tone and good detail. VF. 109 Anglo-Saxon Primary Ar Sceat. C, 680-710. Series A. Obv; Radiate bust r, TIC before. Rev; Standard TOTII design. Spinks 775. Good metal with slight lustre. Super detail. NEF. 168 Mixed group of hammered coins including a contemporary forgery, Henry III Long cross Penny NICOLE ON LONDON. 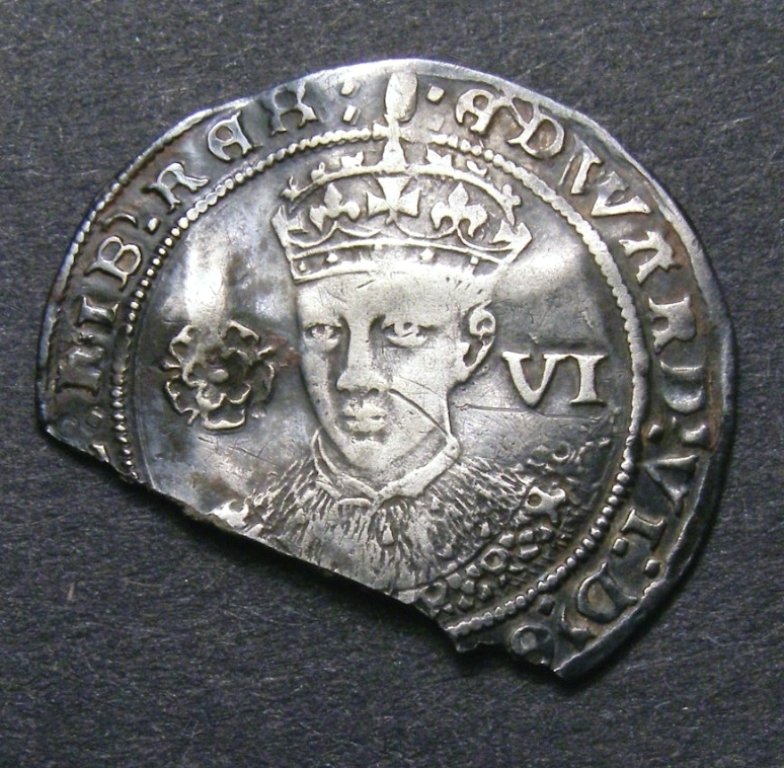 James Irish shilling and 5 other minor denominations. Henry penny VF others about fine. 180 Quarter Noble. Edward III. Treaty Period Au Quarter noble. C. 1361-1369. Annulets on cusps of obverse tressure. Cross in the centre of reverse with annulets in angles. North 1224. Cracked and with an edge split. About Fine. Scarce. 181 Quarter Noble. Henry VI. Annulet issue Au Quarter noble. C. 1422-1430. Mm lis. Lis over shield. North 1420. Shows signs of being creased and straightened but good clear detail. NVF. Scarce. 632 Hammered Detector finds (5) mixed grades and types Mary, Elizabeth, James I etc.